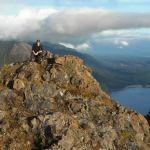 NWHikers.net - View topic - where to hike this time of year? Forum Index > Trail Talk > where to hike this time of year? question, i didn't see any trail reports so my guess is no but has anyone been to snoqualmie pass? is it hikable without snow shoes yet? one more... what are some clearer trails near seattle for this time of year without driving too far? There's going to be cross country skiing this weekend at Cabin Creek, about 10 miles east and 600 feet lower than Snoqualmie Pass. Fresh snow fell last weekend. But it's getting warmer and the snow is soft, which means you'll posthole constantly without slowshoes. Trails in the Middle Fork Valley are lower and many are without snow. Boulder Creek near Darrington is almost always snow free. Chuckanuts are good this time of the year. They start just north of Mount Vernon. Can be a bit muddy. E WA but watch out!! Once them snakes come whippin' out gets to be a world o'hurt!! I did Si today, as punishment for all the tacos. Came down the Tenerife loop. Not much snow at ~4,100 feet. The trail to the base of the Haystack is basically snow free. The tick itself has a bit of snow. Not much, but enough but to mess around yet. Then you get into the woods where the sun doesn't reach and it's still 6-ok inches deep.